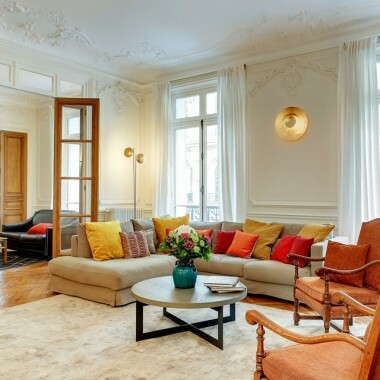 This spacious rental apartment (100m2) is situated on the first floor of a period building (no lift) a short walk away from Les Invalides and the Eiffel Tower. Close by is the Rue Cler, a wonderful fresh food market. Also within an easy walk is the is the River Seine and the Musée d’Orsay, as well as the many attractions of the St Germain area. The elegant and stylish interiors have wooden flooring and large windows allowing for much light. 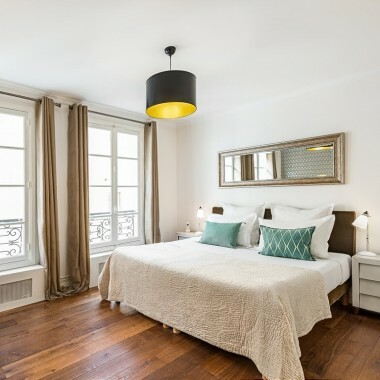 The rooms are furnished in a classic Parisian style. The bright and comfortable living room also has a dining area, and there are two large bedrooms, each with a private bathroom, one with bath and the other with shower. Amenities include Wi-Fi internet, TV, DVD player, I-pod dock, 3 fans, a safe, washing machine and dryer, ironing facilities, heated towel rails in the bathrooms and two hairdryers. Living room, with dining area and sofa-bed. Well equipped kitchen with fridge/freezer, dishwasher, hob, microwave, coffee maker, Nespresso machine, kettle and toaster. 2 large bedrooms, each with private bathroom. 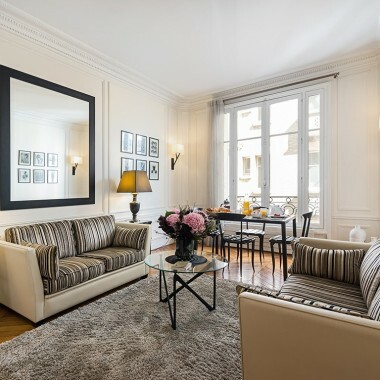 This luxury rental apartment in Paris, is in a great location in the 7th, just a short walk away from Les Invalides and the Eiffel Tower. Close by is the Rue Cler, a wonderful fresh food market. 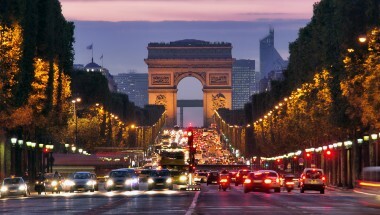 Also within an easy walk is the is the River Seine and the Musée d’Orsay, as well as the many attractions of St Germain.